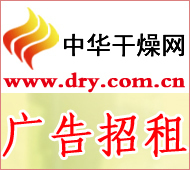 China Drying Newsletter On January 28th, from the Guilin Rubber Machinery Planning and Technology Department, the news came out that the company changed the shot blasting machine project to reduce costs and increase efficiency by more than 200,000 yuan, and it has the value of being applied to other equipment. Shot blasting machine is one of the key equipments in the plant. The original structural design has its shortcomings, the failure rate is high, there are potential safety hazards, and it seriously affects the production efficiency. In the production, it is a state of â€œdoing one day of repairing one dayâ€. The number of statistics for the equipment in the 2011 annual report was 130, and the maintenance cost was as high as several hundred thousand yuan. To this end, the plant set up a research team and made a "major surgery" for the blast chamber project. The first is to transform the transmission way of the rotary blasting table in the blasting chamber. This alone reduces the maintenance cost of the company by more than RMB 100,000 per year; secondly, the screw conveyor under the blasting chamber has also been transformed to extend the service life and reduce the purchase of parts. The cost can save 50,000 yuan a year. Equipment maintenance costs and times have been greatly reduced, and utilization has also increased by more than 10%. In addition, the project team also reconstructed the other structures of the blasting chamber, which also achieved the effect of energy saving and consumption reduction of nearly RMB 100,000. This not only eliminated potential safety hazards, but also increased the utilization rate of the equipment from 0.73 to 0.91. The equipment renovation experience has a good promotion value for other equipment. The project team has transformed several chain or belt-driven devices, and the one-line connection has also been extended to multiple devices. Currently, 60% of the retrofit programs on this device can be promoted on other devices.